It is common to hear today about the potential medical benefits of chocolate, in particular, that eating chocolate can help prevent cardiovascular disease. But not all chocolate is healthful. Several studies have strongly suggested that the flavanols present in some chocolate products act as strong antioxidants, and also as stimulators of nitric oxide. As a result, the theory goes, inflammation may be reduced, platelet function can improve, and blood pressure may be reduced. All these effects may reduce the risk of coronary artery disease, heart attacks, strokes, and even cancer. Read more about chocolate and the heart. Interest in the health benefits of chocolate was spurred a few decades ago by the recognition that Kuna Amerinds living on the San Blas Islands (near Panama), have a very low incidence of heart disease and cancer compared to Kuna living on mainland Panama. The difference? Those on the San Blas Islands consume large amounts of flavanol-rich cacao. Several other epidemiological studies have supported the potential protective effects of flavenols present in chocolate products. A randomized trial begun in 2015 (the Cocoa Supplement and Multivitamin Outcomes Study - COSMOS) will eventually provide much-needed prospective evidence on whether, and how much, cocoa flavanols are beneficial for our health. What Are the Common Forms of Chocolate? There are many varieties of chocolate products, and the flavanol content varies tremendously among them. If science eventually is able to prove that chocolate-associated flavanols are healthy, we will need to be aware that a lot of the chocolate we consume contains only a tiny amount of the healthy stuff. Cacao comes from the raw seeds of the Theobroma cacao tree. Cacao is extremely rich in the flavanols catechin and epicatechin - which are the substances thought to confer cardiovascular benefits. Cacao is the stuff consumed by the Kuna Amerinds. Cocoa consists of cacao seeds that have been ground up and roasted. Most cocoa products available to consumers has been further processed to remove the bitterness and add sweetness. Since the bitterness of cocoa is largely due to the flavanols, commercial cocoa products contain relatively small amounts of flavanols. Chocolate is made by further processing of cocoa, mainly by adding sugar and fat. Milk chocolate is a highly processed and sweetened product, and is often subjected to a process of alkalinization ( or Dutching), which specifically removes flavanols to produce a smooth and sweetened product. White chocolate is cocoa butter that has been removed from cacao seeds. It contains no chocolate solid products at all, specifically it contains no flavanols, and should not be considered a true form of chocolate. Dark chocolate is a chocolate product that is less processed than milk chocolate. It tends to contain more flavanols than milk chocolate, and partly for this reason it tends to be more bitter and less sweet than milk chocolate. However, we should note that the actual “darkness” of chocolate has nothing to do with flavanol content - lots of Dutch-processed milk chocolate is quite dark in color. Read about dark chocolate and health. Notably, the stuff that is being used in the COSMOS study is not chocolate at all, but is a cocoa-flavanol supplement. So, Which Chocolate Products Are Good for Us? Even assuming that studies like COSMOS will eventually demonstrate once and for all that cocoa-associated flavanols are heart healthy, we need to be aware that most of the chocolate and cocoa we can purchase today have had much of their flavanol content removed during processing. At this point it is generally very difficult for us to judge the flavanol content of commercially available chocolate and cocoa products. The Mars company seems the most serious about promoting the health benefits of chocolate, and has introduced its flavanol-rich CocoaVia product line as a first step. CocoaVia products reveal their flavanol content on the product labels. Mars is also a sponsor of the COSMOS study, and presumably is providing the flavanol supplement being used in that study. The Hershey company also claims its Special Dark chocolate product has a good flavanol content, but has not published what that content actually is. 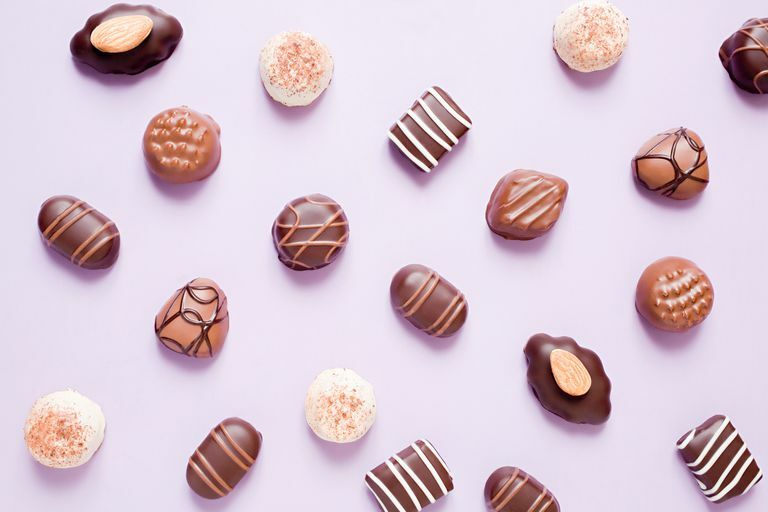 If chocolate manufacturers are serious about promoting chocolate as a healthy product, they will need to begin producing more flavanol-rich products, and labeling the flavanol content in the packaging. Dillinger TL, Barriga P, Escarcega S, Jiminez M, Salazar Lowe D, Grivetti LE. Food of the gods: cure for humanity? A cultural history of the medicinal and ritual use of chocolate. J Nutr. 2000;130:2057S-2072S. Latif R. Chocolate/cocoa and human health: a review. Neth J Med. 2013;71:63-68. Grassi D, Necozione S, Lippi C, et al. Cocoa reduces blood pressure and insulin resistance and improves endothelium-dependent vasodilation in hypertensives. Hypertension. 2005;46:398-405. Taubert D, Berkels R, Roesen R, Klaus W. Chocolate and blood pressure in elderly individuals with isolated systolic hypertension. JAMA. 2003;290:1029-1030.